Hello blogger! I am here to share you some of my favorite tools for blogging. These tools will definitely help you rank number 1 on Google. 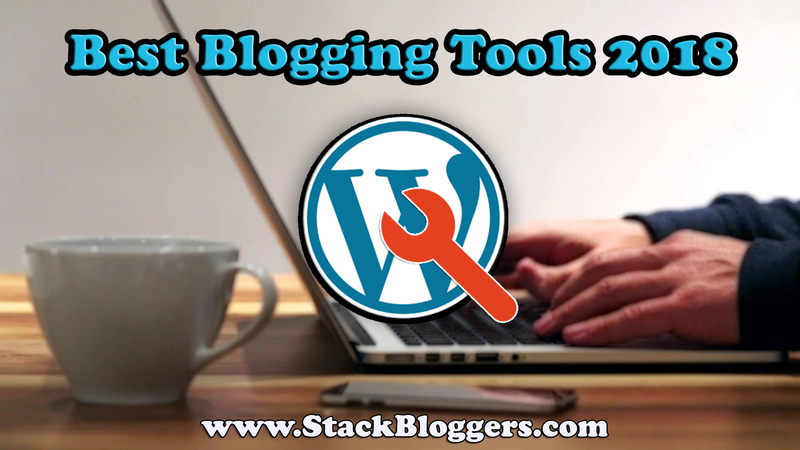 These Best Blogging Tools can make your blog rank higher in search engines easily. I have used these tools for a long and it does give me a lot of growth in my traffic. Actually, these tools are making it easier for us to automate our process of optimizing a page manually. I am not going to include hundreds of them but the best of the bests from my experience. Why We Have To Use These? We can optimize a webpage manually but the thing is “it takes time”. To rank a specific webpage we have to do a lot of efforts because there are millions of people who have published the same content. Optimizing it manually is really so hard that it also requires some technical knowledge. These Blogging Tools can do all this process with one click and you’re done. Feeling like a boss right? Yes, it is. As there are plenty of other bloggers like us so you are not the only one using these. Everything has its own competitions and obstacles. Will These Tools Definitely Rank My Blog? Well, I hate to say, No! It depends on your content and niche. Suppose you are having a blog post about a topic which has less than 300 words. Then you used these best blogging tools to rank it. On the other hand, there is a blog which has a post with 500+ words on the same topic. Who will rank? The second blogger with the long content but it also depends on the SEO and Backlinks. You have to follow some SEO tactics and write good content to rank your blog. Then, what is the reason for using these tools? These tools can help you get good Backlinks and some of them will help you write good content. You can definitely rank #1 on Google by this way. The only thing these tools do for you is making all the works easier for you. These tools act as an assistant to you helping you rank higher without manual works. Note that, some of them are paid tools and I have to say, it’s totally worth the money. I am going to cover this list with my best picks over my experience and how it will help you rank #1 on Google. This is one of the best tools that I am even using while writing this post. As the name has “Grammar” in it, you could barely understand the concept. This tool will help you avoid any kinds of spelling and grammar mistakes while writing a post, email, etc. 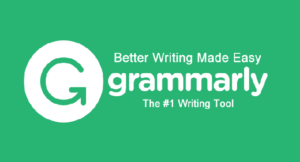 I have already reviewed this tool in a brief as I am in love with it, Read Grammarly Review In Brief. This one is a king. What about Google giving you a tool that will help you rank in Google? Cool right? The actual purpose of this tool (service website) is to give stats of a certain keyword or search term. Well, that’s not the only thing Google provides you. There is a Google Search Console which will help you index your blog to rank in search engines. I am not going off-topic, so let’s talk about Google Trends. As a blogger, we definitely have a topic for each and every blog post. We know that there are millions of others who have published about the same topic. As we know, Google is a search engine in which it shows relevant results according to the search term. When we are searching for something in Google, there will be some suggestions related to it. Most often, people click on those instead of typing it their own. 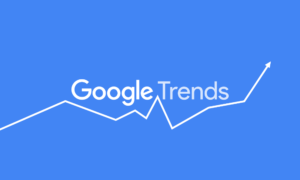 In Google Trends, it will show you the most searched term on a certain topic. Why not using that keyword for our post? Yes, that’s when Google help us rank #1 on Google. If you are a big researcher of blogging, you might have heard about Neil Patel. This is one of the Best Blogging Tools you could use easily. This is a service provided to us by Neil Patel to help us know all the errors and stats of our website. This tool will give every stats of your blog including Backlinks, SEO errors, Traffic, Improvements, Warnings etc. By using this tool you can understand if there is any critical error on your blog and how many backlinks you have. I have optimized my website a lot by using this awesome tool. I really recommend you to go to this website. 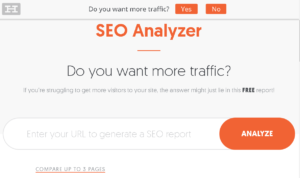 Go to SEO Analyzer By Neil Patel. This one is a paid tool. You can use this tool to know the popular blogs with certain keywords. 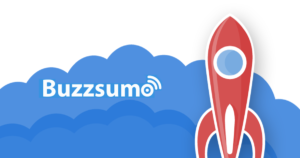 For seeking the backlinks and other stats of those, you need to buy the premium that is Buzzsumo Pro. This tool will help you know how much social shares a blog post got and will show you their backlinks. Interesting right? Now, I will reveal one big trick to get quality backlinks. As I told you, Buzzsumo can show you a blog post’s backlinks you can make it yours. Interesting right? Yes, but it’s hard. Before writing a post on a certain topic, go search it on Buzzsumo. When you find the result with the most backlinks and social shares. Note the post and if it has 1000 words, you have to write a post with 2000 words. The best example is, there is a post with 20 best games you have to write 50 or 100 best games including those. After you publish the post. Go to one of the best backlink providers and mail the admin to replace that link and insert yours. As you have many contents, the admin may approve your request but there is 90% chance of disapproval too. Try many of them, at least 100 of them. There is a chance that you will get 10-20 of them. Woila! You’ve successfully got the best backlinks. This one is just the same as Buzzsumo but better to do the trick I mentioned above. 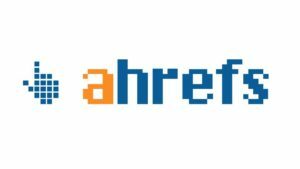 Ahrefs will show you the best backlinks of the keyword accordingly. Note that, this tool is a paid one. As it is paid, you might be neglecting it. Actually, this tool is more worth than the money we pay because this will help you get paid the double you invested. I don’t have to explain more about it as this one is exactly like Buzzsumo but more efficient. Here comes the legend. What about compiling all the above tools in one? Well, here comes the best among the best blogging tools. You can check every stats of a blog including Backlinks, SEO, Improvements, Keywords Tactics. The one impressive thing is that this tool can suggest you the best keyword to use on your blog corresponding your blog posts. You can also earn a good money by referring it to your friends. Yes, I mean affiliate program. You can embed a widget of SEMrush on your blog and can earn a sufficient amount if anyone uses it. According to my opinion, this one is the best among all of them. Even many professional bloggers addressed thanks to this tool because this is a key to getting into the success. Oh forgot, “Thank You SEMrush!“. I hope you already know it. To get indexed by Google, you can use this tool to fetch your blog. You can even index your sitemap, robots.txt etc. 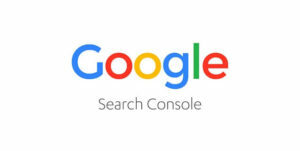 using Google Search Console. This webmaster tool can also suggest and report you for improving your search presence. It is interesting that Google is giving us a tool for ranking #1 on Google. I can’t write about this tool briefly because it will be a long ride. Well, I will wrap it up shortly. Google Search Console can provide you Rich Cards in which you can even get your blog post’s featured on Google. You can get breadcrumbs, postcards etc. with the help of this tool but it depends on the quality and SEO of your blog. Have you seen news from TechCrunch, Neil Patel etc? It’s because these blogs have been approved by Google News Program. To achieve this, you have to be a mastermind of blogging and requires consistency. You must use this tool to get rank high on Google. Without using this tool, you’re not gonna reach anywhere. Every blogger is using it even the newbies. Bing is a search engine just like Google, what about having a search console for Bing? Yes, it’s exactly the same and I don’t have to tell you about it as it includes every feature Google Search Console provides. I can’t wait to tell you about this. Did you ever feel so lazy to share all your posts on social media? Well, I felt. Sharing your post to corresponding pages and accounts is way too boring. Here comes the solution. This is one of best blogging tools you could ever get. SocialPilot will automate social sharing and will publish all your post on connected social media with one click. You can even schedule timings for sharing your content. Cool right? Do you know how I got to know about this tool? Well, I won a giveaway conducted by the popular blog ShoutMeLoud. What I received was a premium account on SocialPilot. I never heard about it before but when I read a review about it on ShoutMeLoud, the feeling was “Woah!”. Here is the screenshot of the Giveaway Notice through Email. What this Q&A website has to mess with blogging? I know this is your question. Well, as it is the most popular Q&A website, it has billions of questions. It is a sure thing that, the topic of your blog post will be there in Quora as a question. Well, if it doesn’t, your topic of the post is definitely weird. A question will be answered by a minimum of 10-20 people. After writing a post, type in the keyword of your blog post and search it on Quora. There will be many questions related to it. Try answering as many of them by inserting a link to your blog post. Try answering the most answered one first. “A new comment on this topic“, this notification will be received to the questioner as well as all the ones who provided the solution. When a person searches for this question on Quora, they can also see your answer in which there is a 90% chance, they will visit your post. These questions will also appear on Google and other search engines so more result. Thus, we can assume that this is one of the best blogging tools you could ever use. These are the best blogging tools which could make your blog rank #1 on Google. As I said, it all depends on the SEO of your blog. Try using these tools and I promise, you will see a good improvement in your traffic. Make sure you write better content and optimize your blog as much as possible. Are you on to professional blogging? Well, using WordPress is better for you. You can also check which blogging platform suits you well. If you liked this post, share it and Follow Us On Facebook, Twitter, Instagram, and Google+. See ya in our next post. Generally I would not go through article in blogs and forums, however i need to declare that this specific write-up incredibly pushed myself to take a look during and also undertake it! The producing preference is shocked my family how to improve seo ranking on google. Thanks a lot, quite good publish. Thank You So Much for your good response. Do you have any suggestions for any interesting topic that you would like to see on this blog? We are more and more immediate and this is undeniable. Many best goods are always coated over the web. The things i accomplish is just to determine people good items to point out to individuals best seo audit tools. That way We enable people today and I happy by doing this operate. Hope anyone good existence. Thank You Joana, Glad that you found it helpful.